Here at Tubefilter, we love to dissect the powerful, curious, and other notable phenomena that are shaping the online video industry. Whether we’re tracking the influence of k-pop, considering the growth of YouTube’s platform, or discussing the seasonal popularity of classic ‘NSYNC jams, we know we can always get some solid data from the YouTube Trends team, led by Kevin Allocca. Allocca, who has been YouTube’s main trends guru since 2010, knows a thing or two about the forces that are shaping the world’s top video site. 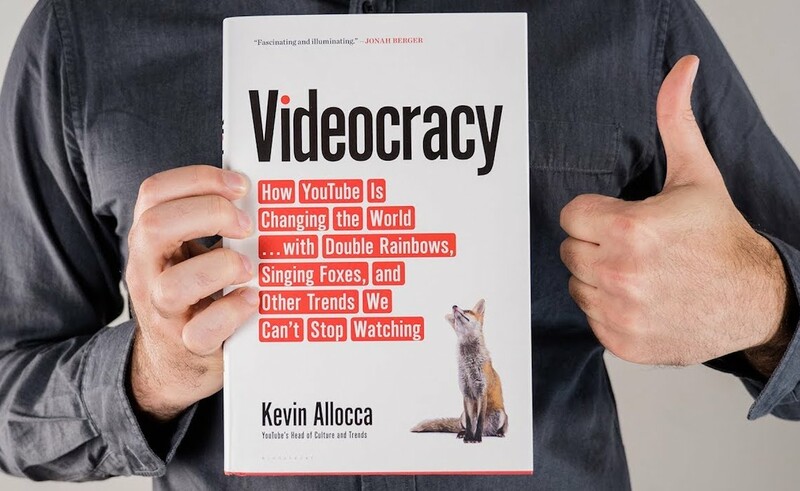 To share his knowledge with readers, he authored Videocracy: How YouTube Is Changing The World…With Double Rainbows, Singing Foxes, And Other Trends We Can’t Stop Watching, which arrived on Amazon and elsewhere in January. We’re excited by Videocracy, but we also have a feeling that Allocca’s online video sagacity is too great to be contained within a single book. To get some more details about his project, we talked to him about a unifying theory of viral popularity, YouTube as the dominant entertainment medium in our lifetime, and more. Tubefilter: Before we get into the meat of the book, what’s the dedication at the top mean? Kevin Allocca: That’s my Grandfather’s screen name. He turned 100 on April 8, 2018. He always reads my stuff and knows what’s up on YouTube. Literally went to the World’s Fair to see the first television in the 1930s and I’ve put him in a Daydream so he can see VR. He loved it. TF: That’s very sweet. So, why’d you write this thing? KA: I’m fascinated about why we like certain things. Why do we like the things that we watch? What’s the appeal of strange and unexpected content? I’ve been studying trends on YouTube for almost eight years. There are all these trends and memes, but I’ve never had a chance to fully contextualize them. The book was an opportunity to look at this holistically. What do Nyany Cat, Kony, and Captain Sparklez have in common? And it gave me a chance to research a lot of topics in a much more in depth way than I’m able to in a one-off setting. TF: What’s the common theme? Or what ideas did you see repeated over and over in your research? KA: There are a few. But more so than anything else, the thing that makes YouTube distinct is its interactivity. I’m talking about literal active participation in the entertainment we see. If you think about that as an idea — the idea that the audience and actions of individual people can influence culture — you can see it play out through YouTube. A viral video, after all, is just distribution through interactivity. You also have new kinds of stars who have new kinds of talent and different skills than traditional celebrities. We all know them. And they are skilled at creating experiences that are inherently interactive. Another theme was how much web video and YouTube is truly a collection of niches, networks, and communities. There was a kind of singular YouTube community early on, but really YouTube is niches, passions, and communities and you really see that when you start talking to people about their experiences. I think, in a way, YouTube shows us how diverse we are in terms of what we’re interested in and what we care about. It has been able to reflect aspects of human experience that aren’t really possible in other media environments. When this technology came into the world, it could have become anything. The ways in which we chose to use it were all about connection. It’s kind of interesting, especially when we feel like like technology can separate us. 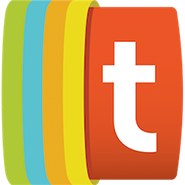 TF: So YouTube evolved into this interactive entertainment experience whose users gravitate towards connecting with one another. If we re-roll the dice does YouTube always evolve the same way? KA: I wasn’t around when YouTube was created, but its creators seemed to simply want a place where people could post and share video. No one really knew how it would ultimately be used. Just as people who first played with the form of film, like Chaplin and Thomas Edison, had an influence on what film could be, I think certainly early creators and early vloggers were establishing the conventions of this community. Ze Frank influenced other people who thought, “I should try doing that!” So, yes, they had an impact. But without them other similar styles would have developed and we’d probably still be about where we are today. TF: When people ask me why certain people are YouTube stars, I tell them that they all share a similar skill in that they’re very good at getting and maintaining an audience. Is that what you found, too? KA: It’s the same idea. I use very similar terms. I mean, some of them have great comedy skills or are great cinematographers or have great skills beyond this, but the core thing that is different than a movie star I grew up with is the skill to build audiences, connections with people, and keep them coming back. It’s really hard work and it’s a new thing. There were very few people who were able to do that in history. Ben Franklin got a printing press somehow and was able to build an audience, But you could never have the scale and ease we have now. TF: After writing all this and doing all these deep dives into YouTube, do you look at the world a little differently? KA: One of the challenges of trying to distill something so huge – a billion and a half people use this site – is that it’s hard to really generalize and say there is this one specific thing that it teaches us. I’m an optimistic person and I happen to see this attitude bit more in the platform, but I think we’re a lot more curious than what we’re given credit for. The rise of education and casual tutorials is a great example. Education programming used to have to be forced on to TV and have a mandate. But online, it’s naturally able to succeed because it is able to serve our needs a little bit better there. TF: What about the viral stuff? Do you have any unifying theory of what’s going on there? KA: The reasons such things get popular is because they gives us something to do actively. Our conversation, the way we talk about things, helps increase the reach of those things. Discussion and reaction drive the value that we get out of these experiences. Something crazy when you talk to people behind these viral videos is that a lot of people are surprised that it happened. There are certainly many things in mass media that people are surprised became so huge. But a lot of people say that “It happened to me,” and not “because of me.” OK GO made a music video for Michel Gondry because they wanted him to create a music video for them. And we know how that ended up. [Editor’s Note: The video went viral and it basically launched OK Go’s now decade-plus-long popular music career.] “Viral” is something that happens to people and changes whatever they created into something that can have new and greater meaning. So, I think, in a way, when I look at why something is popular, I don’t look at the objective qualities of the content, I look at the subjective experience of the audience to see how they’re deriving value. That’s where you have to be looking. Things like ASMR and other genres often make no sense to people who don’t consume them. They don’t understand it and therefore believe it cannot be good, but that’s because they don’t understand the experience the audience is getting from it. And that’s what I look for in content now, I try to gauge what experience the audience is extracting from watching this. TF: What’s the takeaway you want people to get from this? KA: I think it’s important to take these things — things that are easily dismissed because they’re silly or fun or trivial or whatever — and try to unpack them. I think it’s important to understand the defining types and forms of phenomena during the first several years of one of the most influential forms of entertainment in our lifetime. The average sharer doesn’t question why we share that content, or why we watch this tutorial. It’s becoming more a part of the popular culture and defining our popular culture. If you talk to The Gregory Bros. or the people behind the Old Spice Guy or ASAPscience or Gentle Whispering, their stories are all quite different, but they’re all part of this patchwork of a new medium that’s only becoming more influential. Kevin Allocca is an author and technology professional and is currently the Head of Culture & Trends at YouTube, where he tracks popular video phenomena and manages trending content initiatives. He is YouTube’s expert on the intersection of web video and global culture, and is often cited in the press on subjects of virality, popularity, and digital creativity. His TED Talk on “Why Videos Go Viral” has been watched over 2 million times and he has been a keynote speaker at festivals and industry events all over the world. Some of his projects at YouTube have included improving YouTube’s browsing experiences, YouTube Rewind, YouTube Spotlight, and YouTube.com/Trends, which he launched in 2010. His book Videocracy, which explores YouTube’s most interesting trends and the impact of video on our culture, was published by Bloomsbury in January 2018.